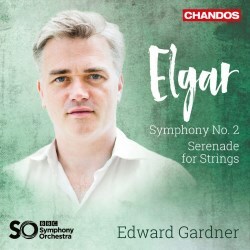 Rather like Edward Gardner’s recording of Elgar’s First Symphony, this is a swift, driven reading, especially compared with Elder’s recording made with the Hallé in 2003; every movement is faster and overall the symphony is shorter by over four minutes but doesn’t sound rushed; it is actually very similar to Handley’s recording, while Boult and the LPO in 1956 are even faster. Gardner’s recording of the First was very favourably reviewed by three MWI colleagues last year, but some reservations were expressed, as was an acknowledgement of the continued superiority of classic recordings from such as Barbirolli. Indeed, this new Second is one of those recordings where everything sounds right and nothing is exceptionable, yet nor is it exceptional, leaving me with a nagging feeling that I would like to encounter just a little more personality and risk-taking. For that reason, I played Handley and Elder’s versions and found slightly more indulgence in rubato and a greater sense of release in the music-making – an all-round sense of Elgarian exuberance, if you will. I would like more of the swing I hear in Boult’s otherwise quite fast, cool readings and to hear the horns whoop with more conviction than Gardner allows. This impression of restraint is perhaps reinforced by what I hear as a rather low recording level; compared with Elder and Handley, the sounds is rather flattened out and I kept increasing the volume. The Larghetto does not quite match Handley’s level of yearning intensity but the violent climax of the Rondo (a musical depiction of the Tennyson’s lines from “Maud” conveying madness, where "...the hoofs of the horses beat, beat into my scalp and brain...") is impressive. The final movement here is the best of all; Gardner captures the requisite ebb and flow of the music and his gradation of dynamics is especially notable. His sensitive conducting conveys all the passion and momentum of Elgar’s mercurial inspiration; I would love to have heard Furtwängler conduct this music, as instead of a steady Brucknerian pulse it demands a constant and instinctive, almost improvisational, flexibility. Gardner creates a lovely sense of calm and reposeful dignity in the conclusion of the finale, ensuring that the harps are audible and ending in a golden glow of Wagnerian splendour. The Serenade makes a delightful postlude, light, delicate and really uplifting, the strings of the BBC Symphony Orchestra play elegantly; indeed, the orchestra is superb throughout, especially its horns and timpani.